People see us out and about at the store, at the park, at farmer's market and someone always seems to make the comment, " Wow! 3 boys!? "- as if having 3 boys were something from another world. We get those glances when you guys are running around pretending to be Batman and Robin- as if they never pretended in their whole life. I randomly get an elderly say something like, "I don't know how you do it!".... Followed by an "I feel sorry for you" type of look. Boys, I want you to know I don't feel sorry for myself. I know exactly how I do it. I love that you pretend and have a brilliant imagination. Yes, I have 3 boys and I am so utterly proud! I look at the 3 of you every day and think how lucky am I that I get to be loved by these 3 amazing boys. I get to see the imaginations come to life. I get to witness the bravery. I get to mold these young minds. I get to kiss those sweaty sticky faces. I get to raise these boys into men of honor. Boys I don't ever want you to think I don't like what I do. Yes, there are days you wear me out, but never have I thought I wish I wasn't your mother. I am so proud of each and every one of you. The way I have to mold you into men, you have slowly molded me into a woman. From Josiah I have learned patience. From Eli have learned persistence. From Abram I have learned to find my voice. You each have taught me so much. Being your mother is the best thing that could have ever happened to me. I wouldn't change a thing. Please forgive me for the times I haven't understood your needs. For the times I was too tired to play with you. For the times I was too busy to listen to what you had to say about something that was important to you. For the times I was too tired to make you a good meal and let you eat whatever was easiest to whip up in less than 5 min. Mommy will try harder everyday to make it up to you and do better. I pray that God give me the wisdom to speak to you when you need advice. To hold you when you just want to cry. To give you exactly what you need from me every day. To have grace in your chaos, but most of all, I pray that you know I love you. I love you for the boys you are and the men you will be. I love you for the times you make me laugh when I feel like crying. I love you for your concerned faces when I get hurt. I love you because you are my boys and I am blessed enough to be your mother. This was absolutely beautiful. I am a boy mum too and my dude is the pride and joy of my life. It is clear from both your words and your pictures just how precious your boys are to you and how proud you are. I think that there is a special relationship that boys can have with their moms and it is pretty cool. Yes there is definitely a special bond with a mother and her boys. I hope it endures until they are old! Haha. Thanks for stopping by! I can only imagine what you hear - I get those comments with one boy! You're doing a great job, mama. Keep up the good work! Awww this made me cry!! How very sweet! Im sure your boys know how much you love them. Really!? I'm sorry I was hoping the only crying came from me while writing it! Thanks for reading! YES!!! 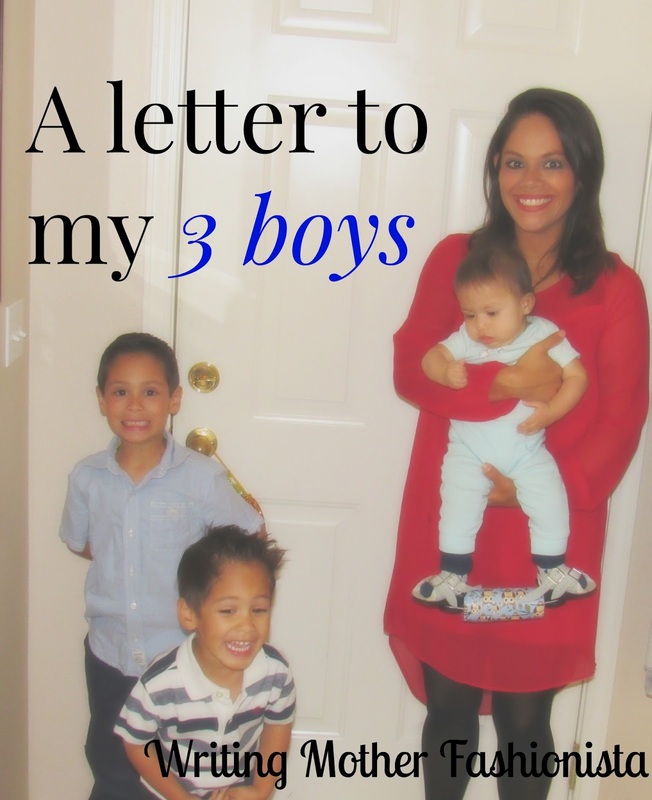 I am a mom of two boys and I so understand this. 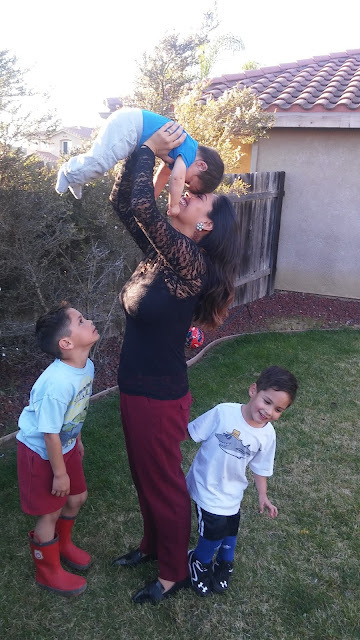 Boy moms are awesome!